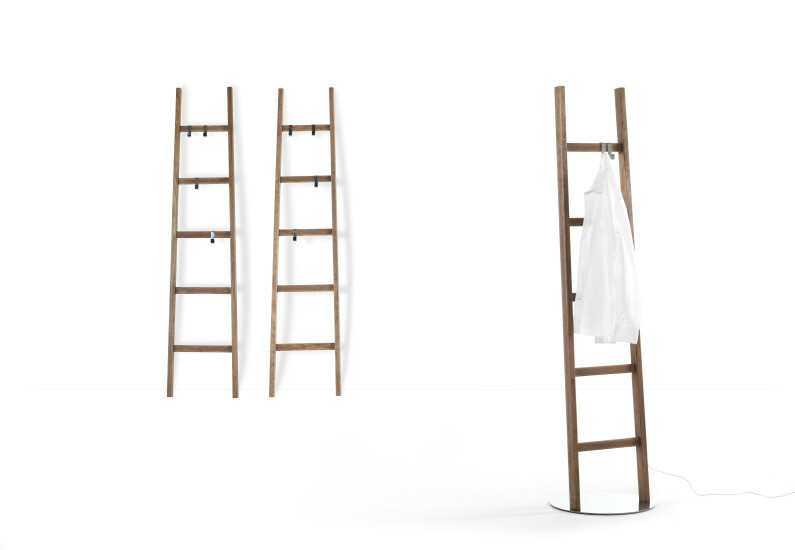 Coat hanger lamp in solid oak wood with LED (light colour 3000K, No. 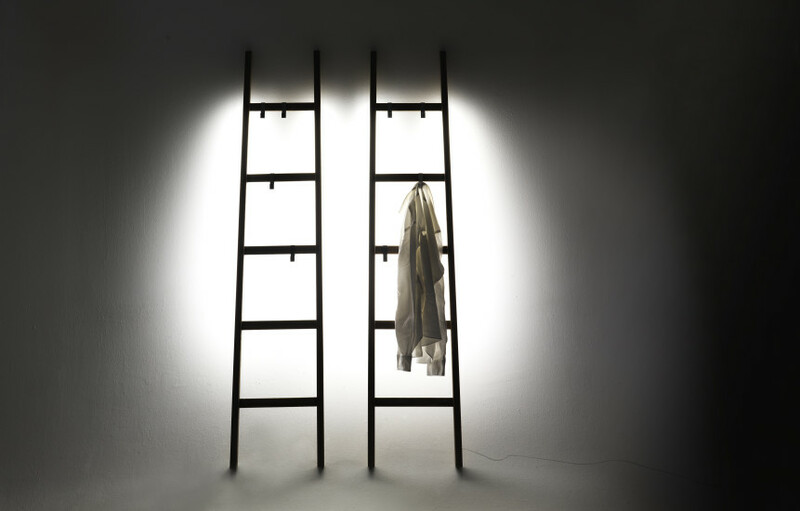 120 led/mtl) and 3 coat hangers included. 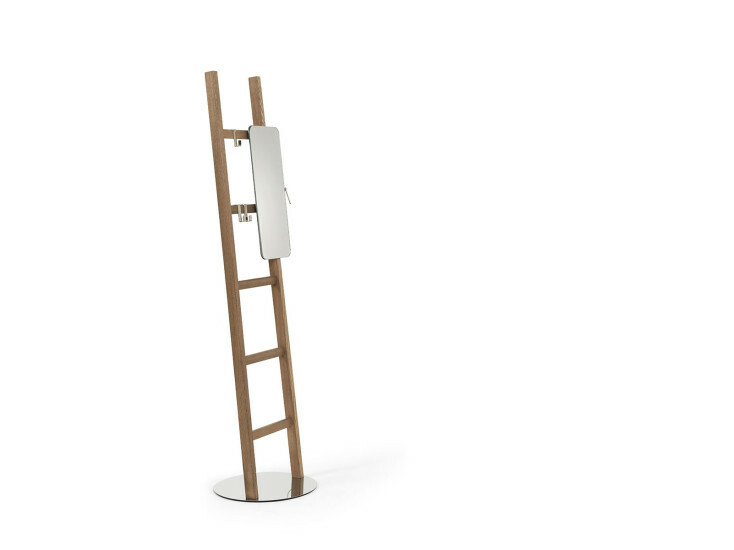 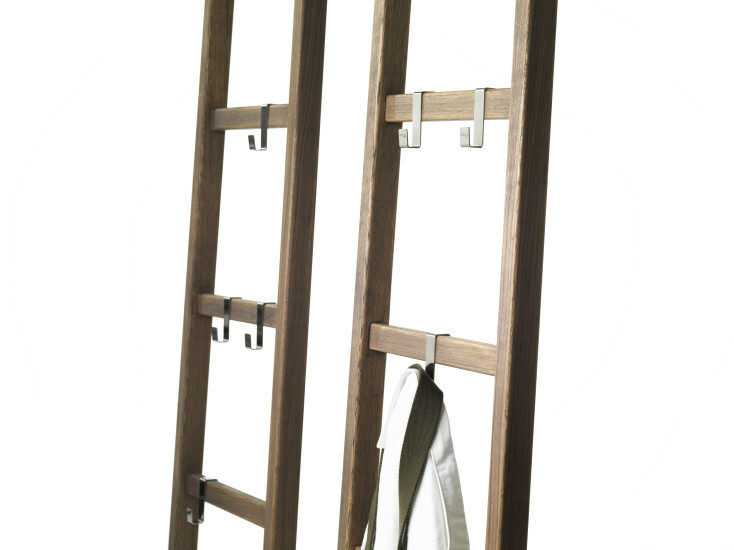 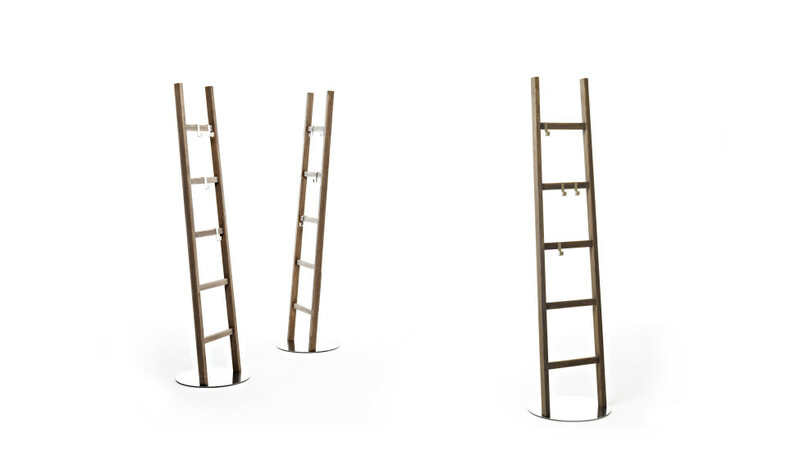 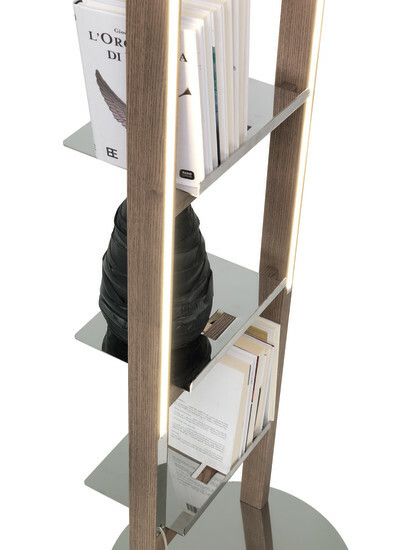 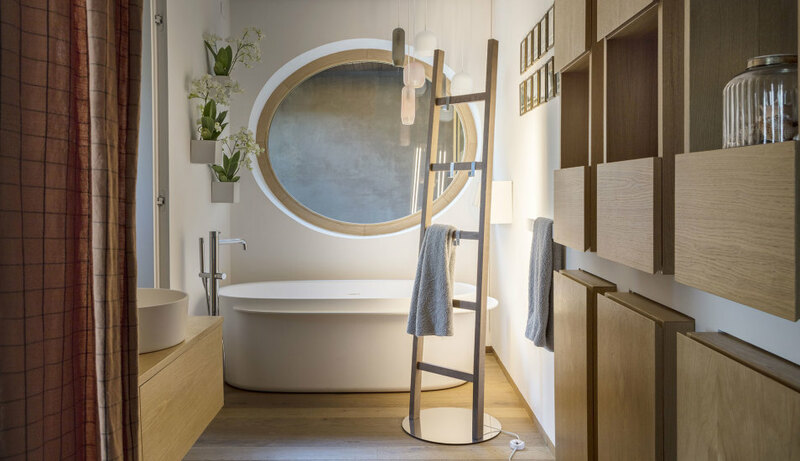 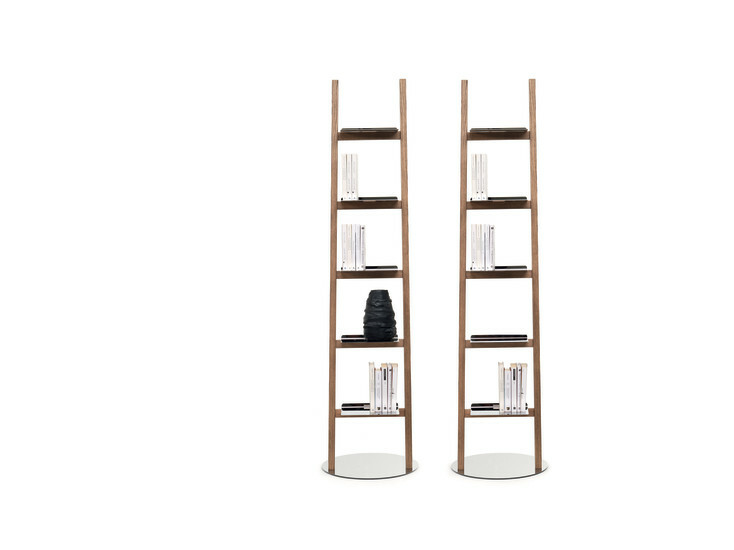 The ladder can be freestanding on its metal plate in polished steel extra mirror finish (see the Accessories section below), or leaning against the wall.